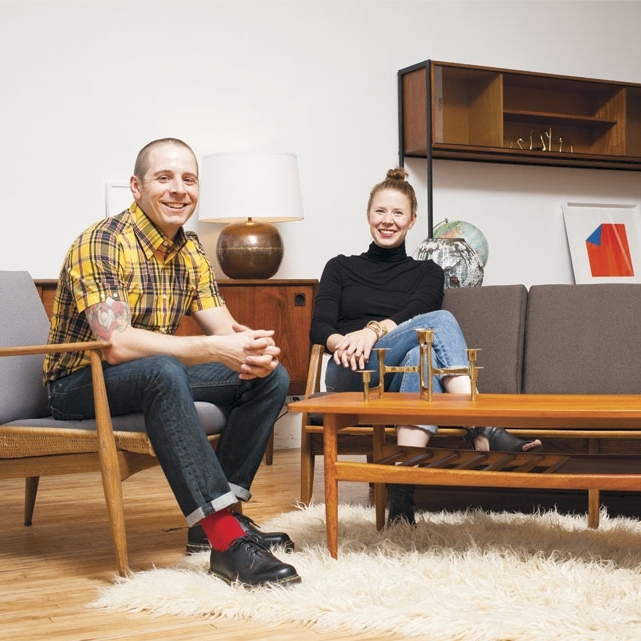 Husband and wife team, Bill and Kara Kurth have shared their passion for Mid Century Modern furniture and accessories with the Twin Cities community for nearly a decade. From their humble garage beginnings to their bright minimalist shop in Robbinsdale, they have not lost their desire for excellence in their craft. The furniture is handpicked from Scandinavia and professionally restored in Minnesota. 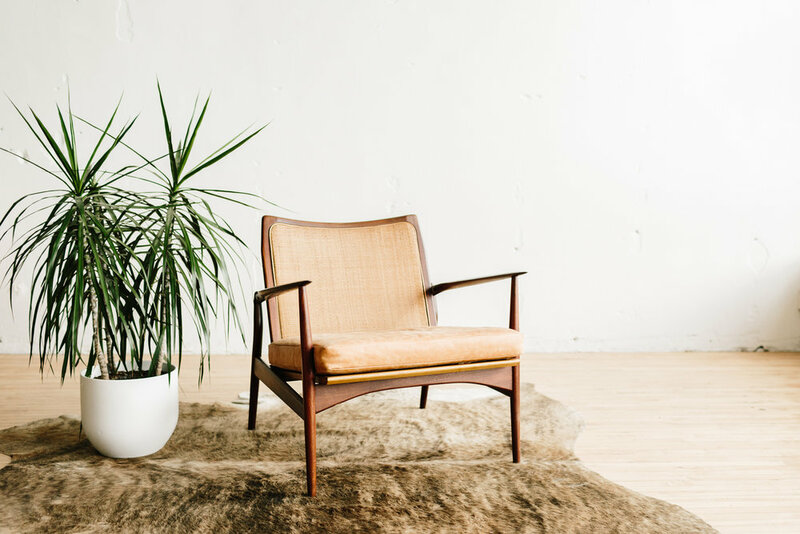 Their shop is thoughtfully staged with one-of-a-kind beautifully restored Danish Modern pieces, handcrafted artisan accessories and smartly curated art pieces. The vibe is as charming and likeable as this golden couple, creating a low-pressure experience that leaves you feeling comfortable and confident in your purchase and wanting to be their friend. It’s a bright, airy, laid back…a place of escape. It’s a place people like to be. Bjork radio, bonobo, the “chill” Spotify stations when we’re open and when we’re closed/working in the shop Oasis or anything out of Manchester really. Be one step ahead of the other guys and take small steps everyday to attain your goals you set out in the beginning. Don’t be afraid to pivot when something isn’t working. Failure is the best form of education. You won’t make the same mistake twice. Oh! And hire a type A bookkeeper/accounted right off the bat. It will save you a lot of grief. Kara - Getting dressed to impress...myself (ha!). Trenta Iced Green Tea Unsweetened. MPR. Passion for what you do. There are so many people that don’t really want to be doing what they’re doing and it shows. You truly have to love it...or you’ll hate it. Stepping away from the pack of vintage shops and truly focusing on our passion has brought us the most success. A point of view is crucial so other like-minded people can get behind you and truly understand what it is that you’re trying to accomplish. Thinking you can do it all, when we all know we can’t. Hire people who are smarter than you to do the things you don’t have time or capacity for - even if it’s very part time! They will give you the brain space to truly focus on the things that you should be focusing on. Getting all those monkeys off your back is literally the best feeling. Bill - Finn Juhls or Hans Wegner studio. To see how they produced the classic designs. Kara - Clare Vivier. To see how she juggles it all. Kara - An out-of-whack family life throws everything into a tailspin. Make sure my heart is full to the brim so I can fill up others - especially my family. And learn something new every day whether a word or a skill.